Gold Edition is a professional auto detailing wax. Wax puts a protective layer over your automobile's paint. To apply wax, use long even strokes, making sure to get an even layer over the sealed paint. Use just enough wax to cover the surface. After the wax dries, buff vigorously with a clean microfiber towel or orbital buffer. Gold Edition is the best car wax on the market guaranteed to give a mirror like finish to your car's exterior. For maximum deep luster shine after waxing and removing the Gold Edition, use Lane's Super Seal Paint Sealant to seal the car wax and provide your vehicle's painted clear-coat with a durable protective coat. 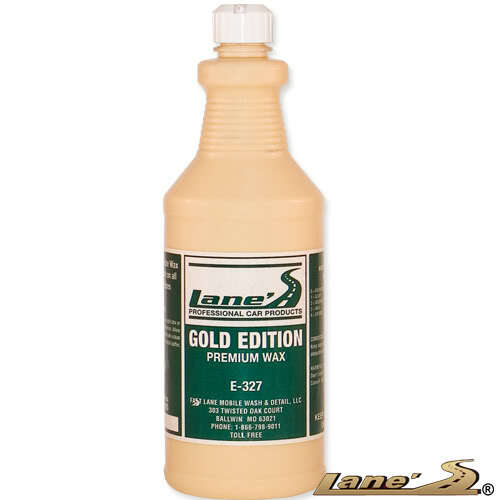 Gold Edition Car Wax can be used on any colored car and is clear coat safe.